Tucked into a peaceful residential area with rolling hills and mature trees, Peaks at Gainesville offers a luxurious retreat just minutes from downtown Gainesville, Georgia and the North Georgia Mountains. Enjoy a gorgeous park-like setting while still being just a short distance from the University of North Georgia and Brenau University, Mall of Georgia and North East Georgia Medical Center. Peaks at Gainesville provides a beautifully-landscaped property with scenic views. We also offer a resort-style swimming pool, a terrific clubhouse and a state-of-the-art fitness center. Peaks at Gainesville interiors feature two-tone designer paint, balconies, defined dining areas, gourmet kitchens, crown molding, and nine-foot ceilings. 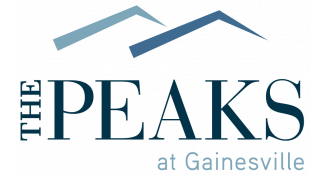 Experience luxury living in the heart of Gainesville at Peaks at Gainesville!